" Elbow valve assembley was easy to install and took just a few seconds. Works perfectly! " 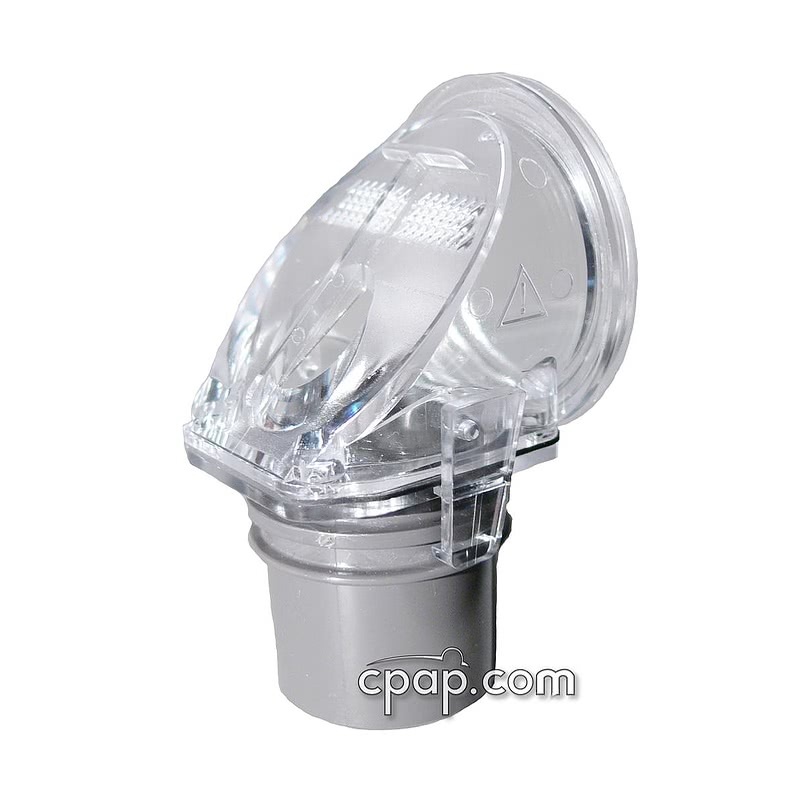 This is the complete replacement elbow valve assembly (also known as Entrainment Valve Swivel) for the Respironics ComfortFull 2 and ComfortGel Full Face masks. 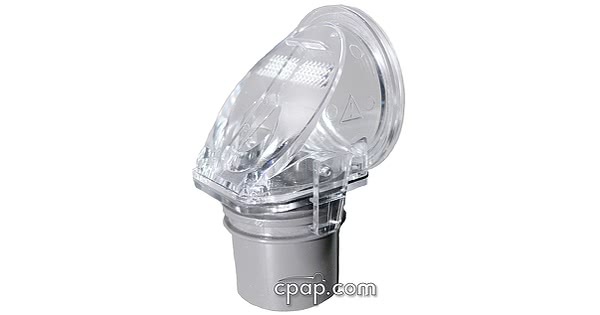 Includes the internal flapper, elbow, elbow clip, and entrainment valve swivel . To install, remove the circle clip holding broken Elbow Valve Assembly on and then clip this part in. The ComfortGel Full Elbow is the same as the ComfortFull 2 except for a slight blue tint to the plastic. CPAP.com only stocks the gray elbow.